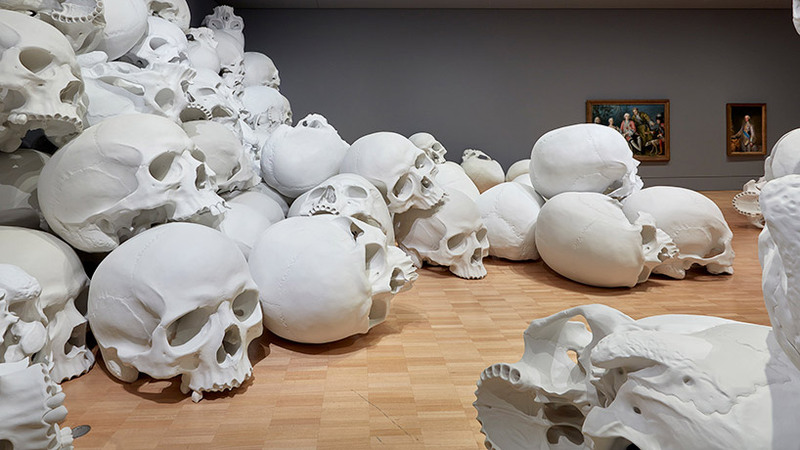 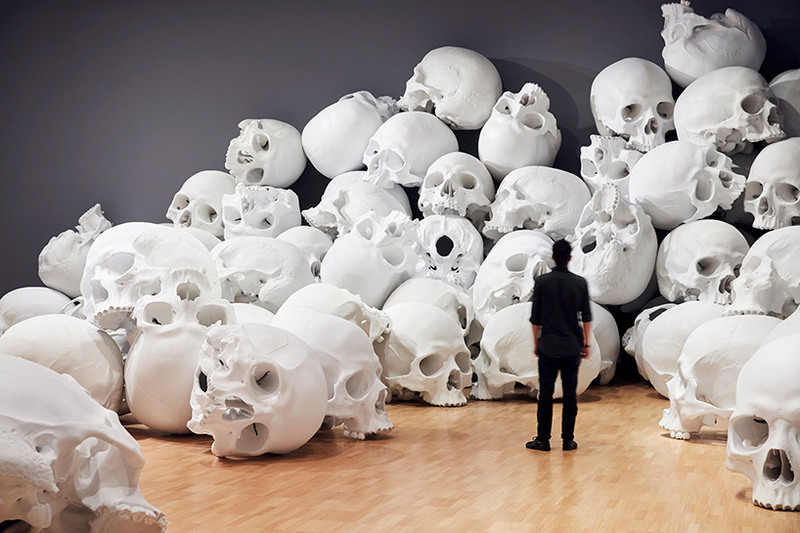 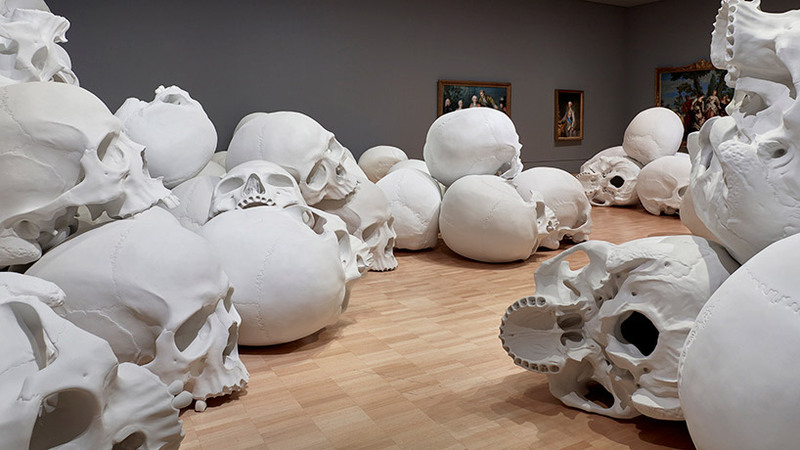 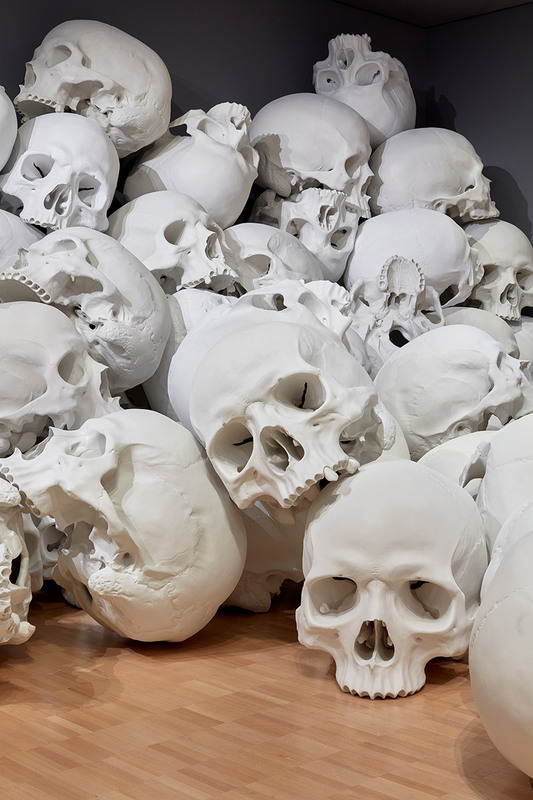 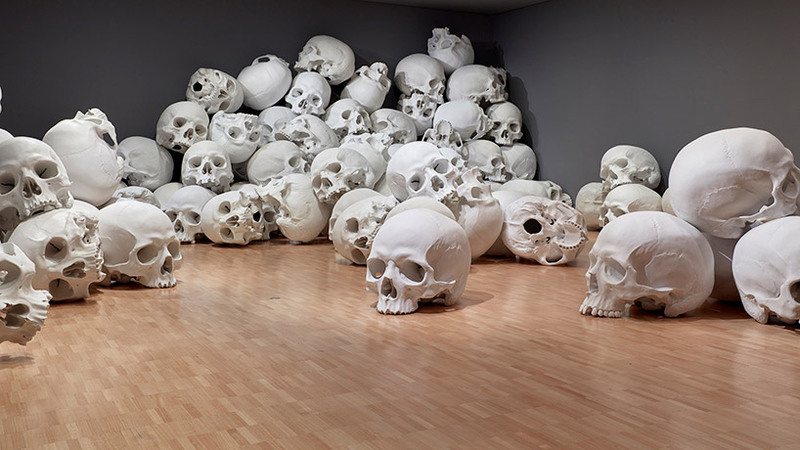 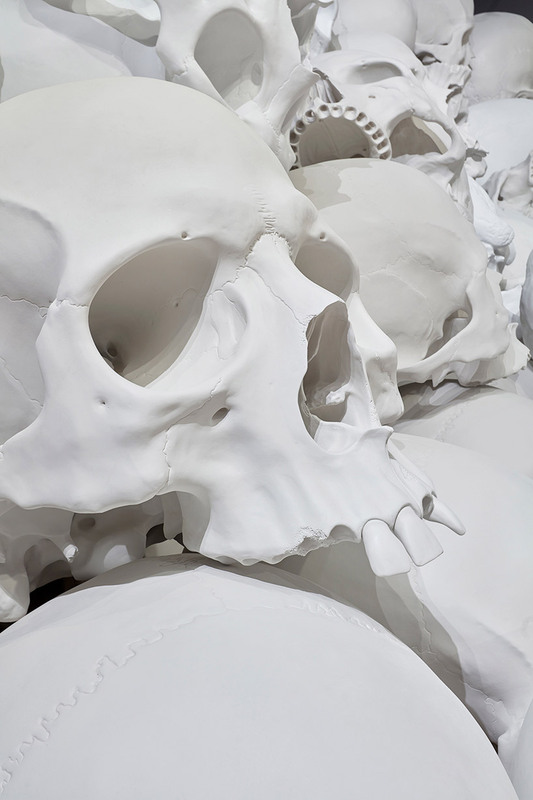 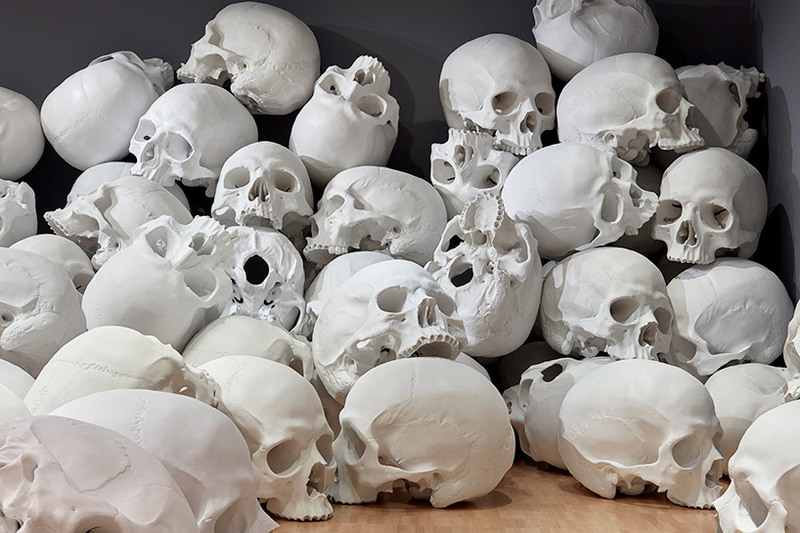 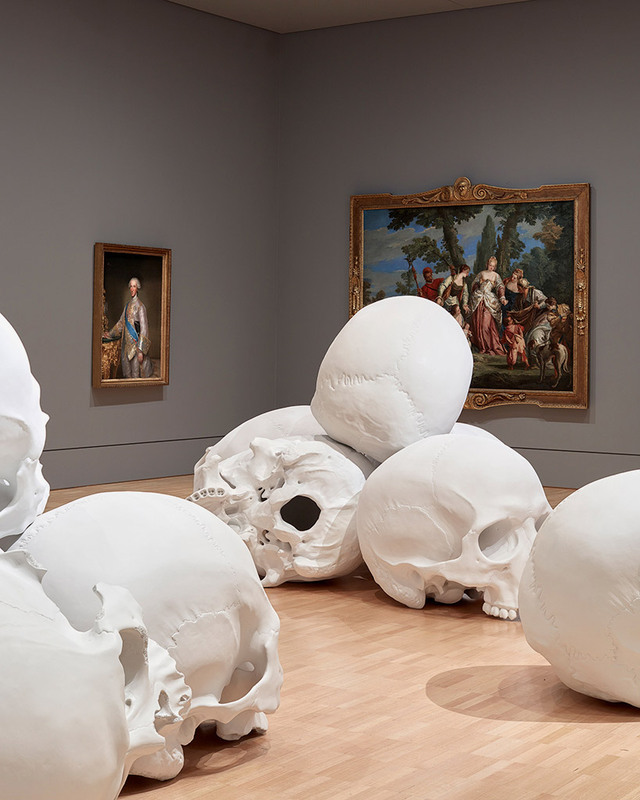 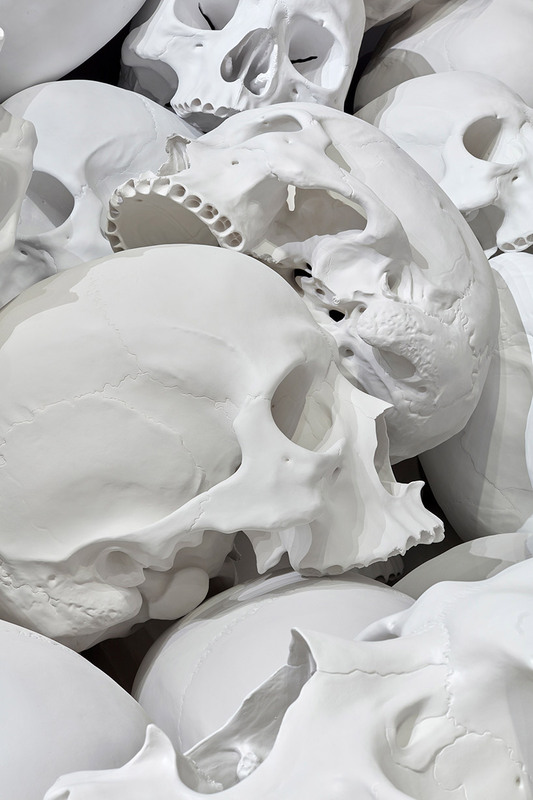 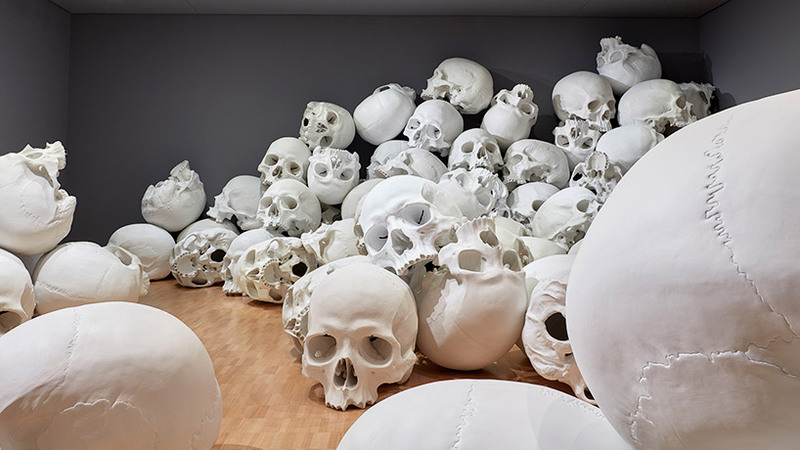 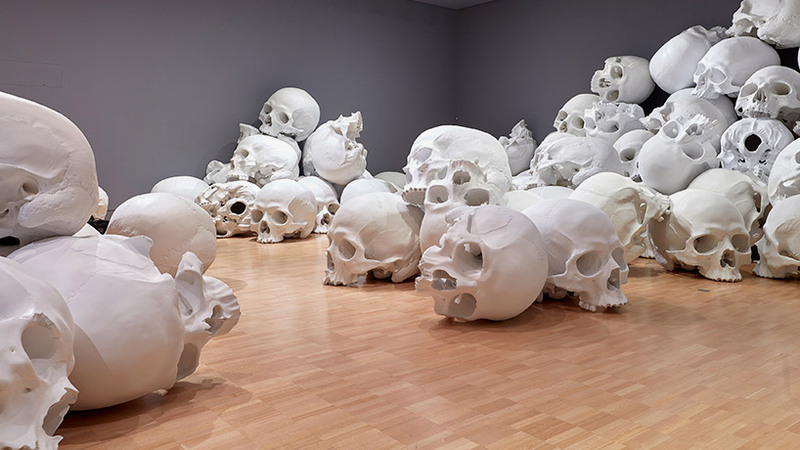 Hyperrealist sculptor Ron Mueck explores both mortality (the transience of life) and eternality (a sense of permanence) with this striking series of large-scale skulls. 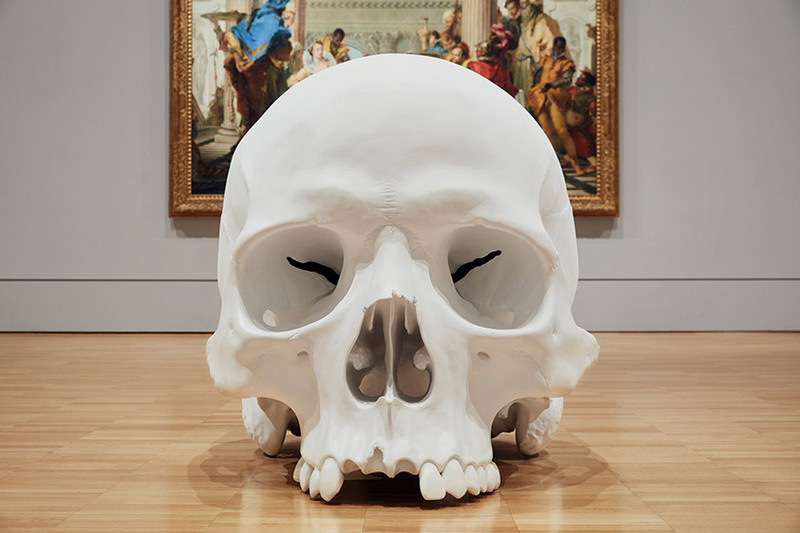 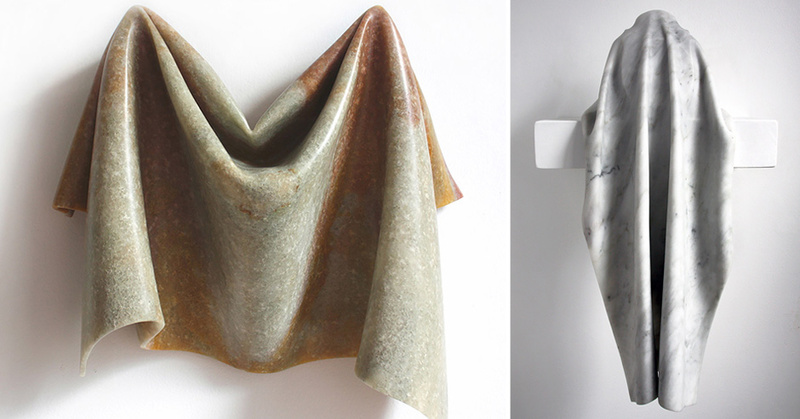 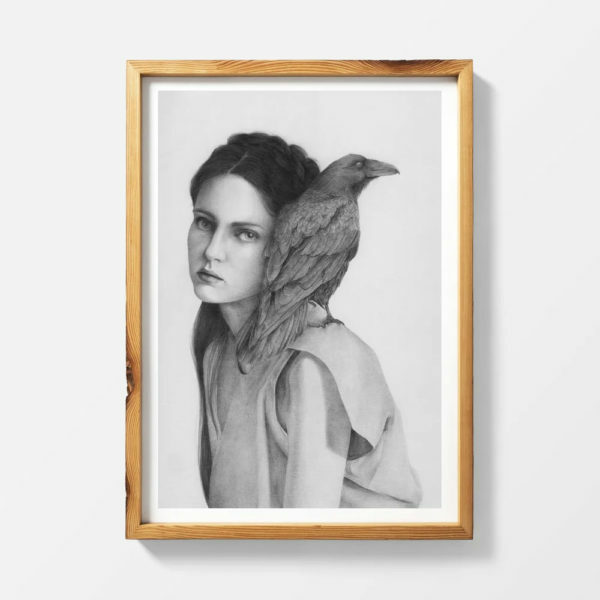 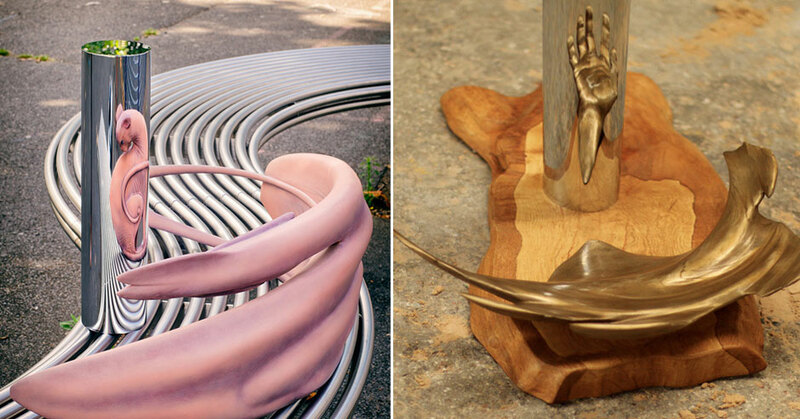 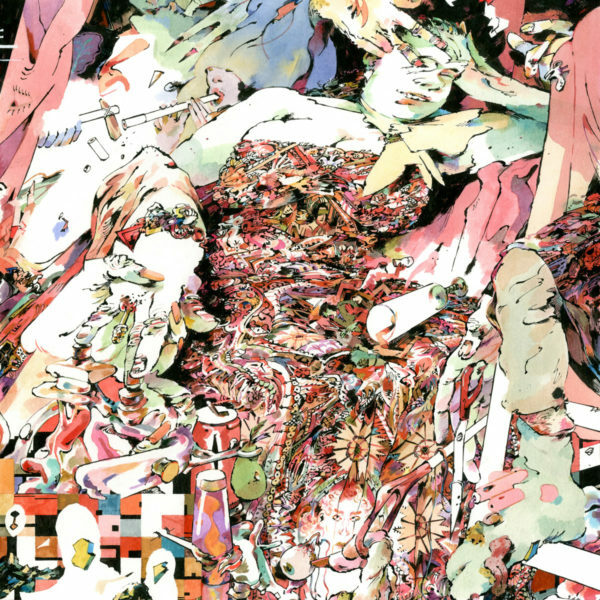 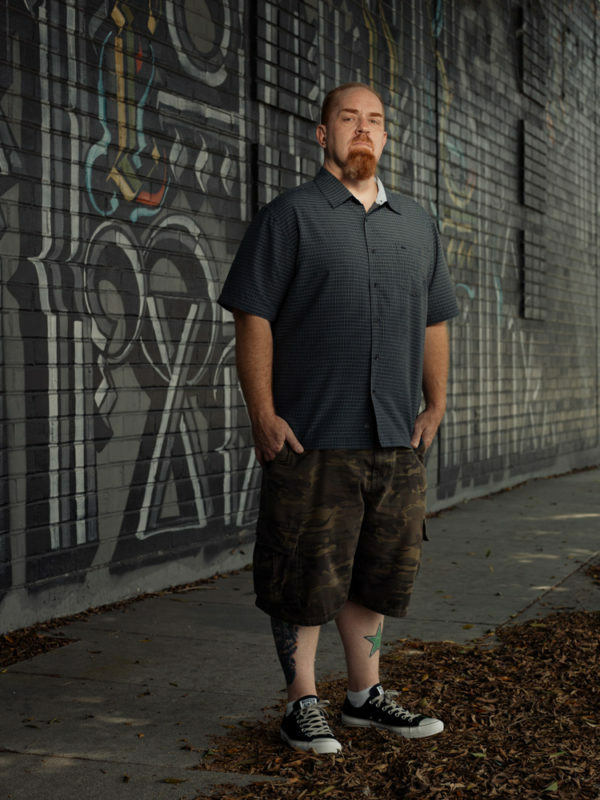 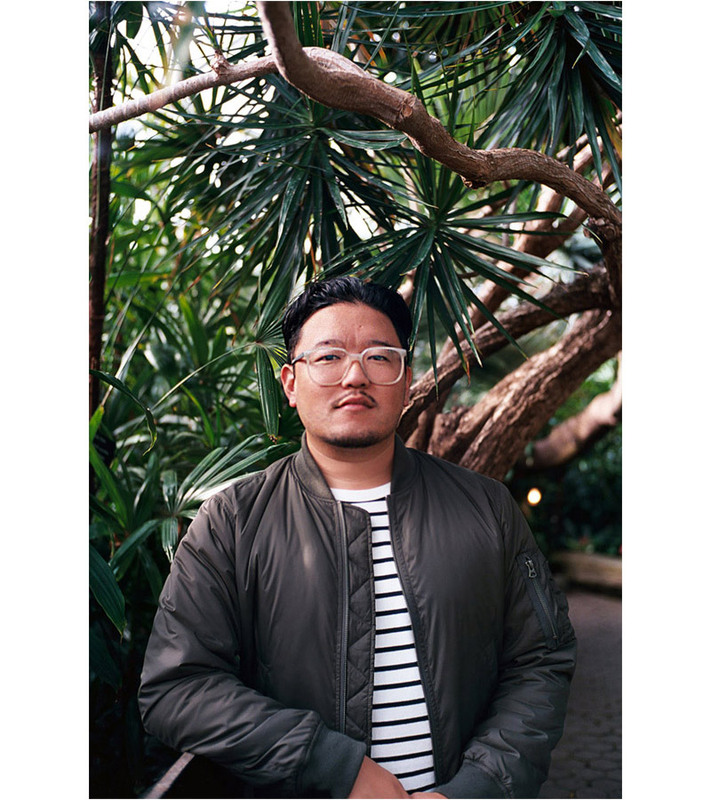 A biological structure that has become a near-universal symbol pervasive in art throughout most cultures and religions, “Mass” celebrates the form that connects all humankind. 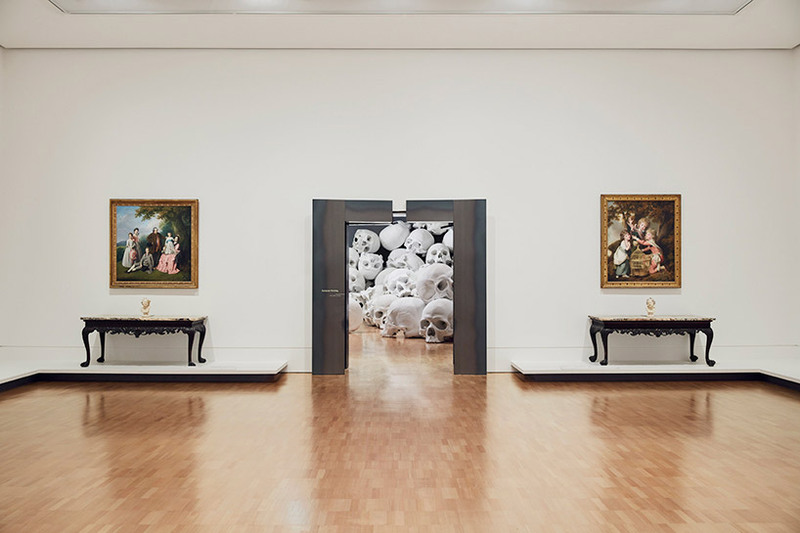 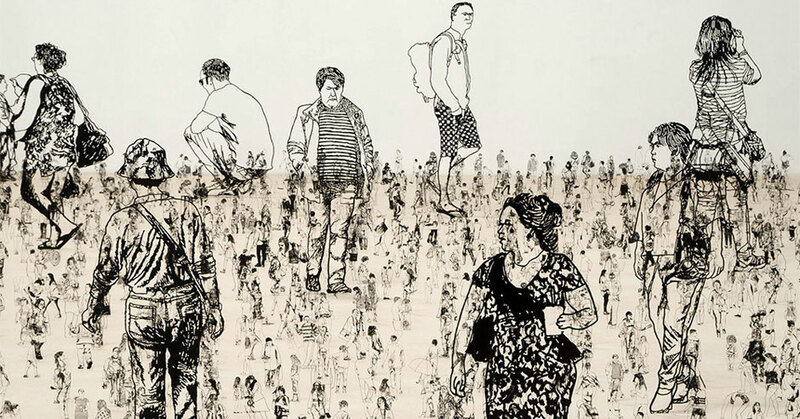 See more images below or on display as part of the Triennial at the National Gallery of Victoria until April 18, 2018.